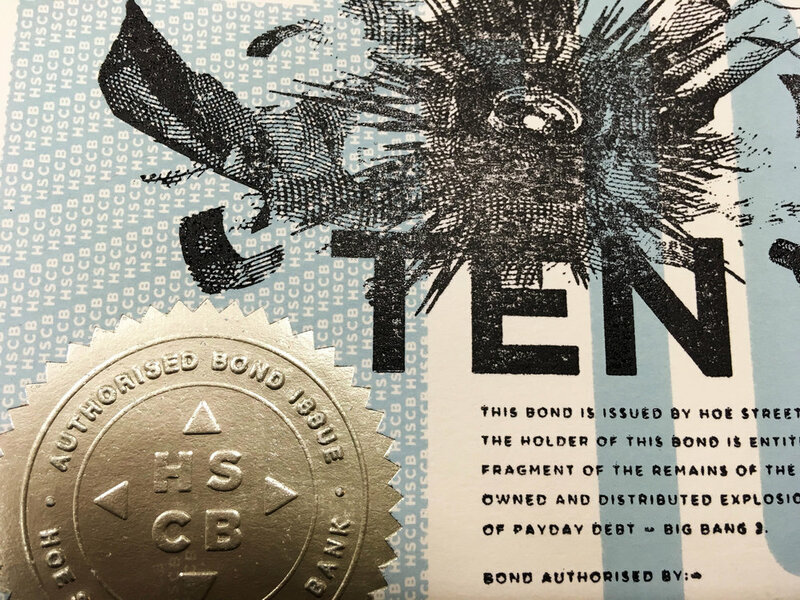 £10 HSCB BOND. 135X108mm. Blue. Screenprint, letterpress, foilblock, company seal. Stockwell 200gsm paper. Gilt edge. The above is a digital version. Return: Bond, invitation, fragment of explosion. 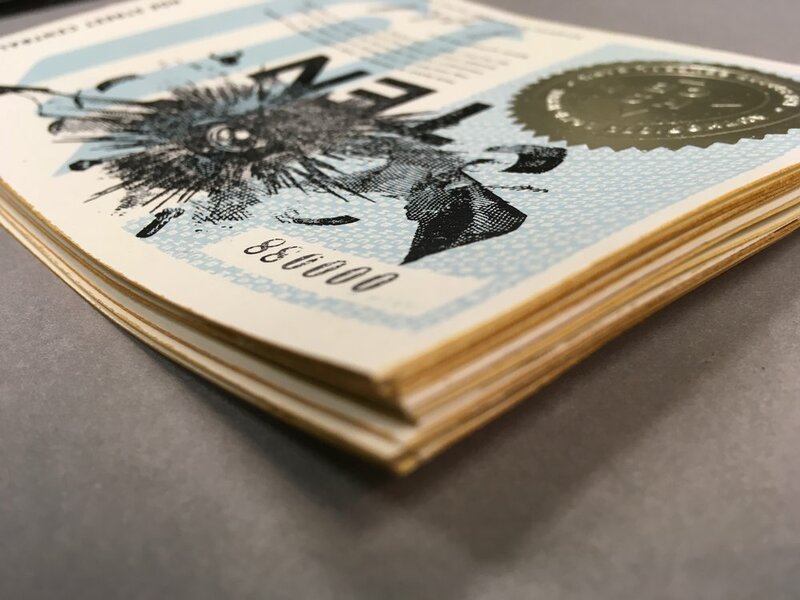 WE ARE PRINTING MORE £10 BONDS IN THE BANK. NEW ORDERS WILL BE READY TO POST OUT THE FIRST WEEK OF APRIL.